THAT THEY ATTACKED THE HUMANS WHO CAME TO LOOK AT IT? 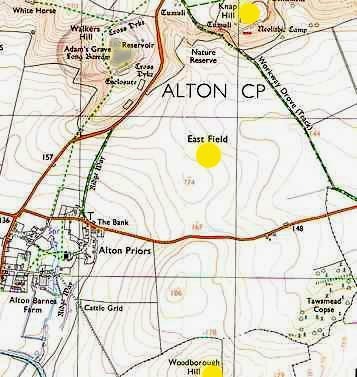 not far from Woodborough Hill, highlighted at lower center. 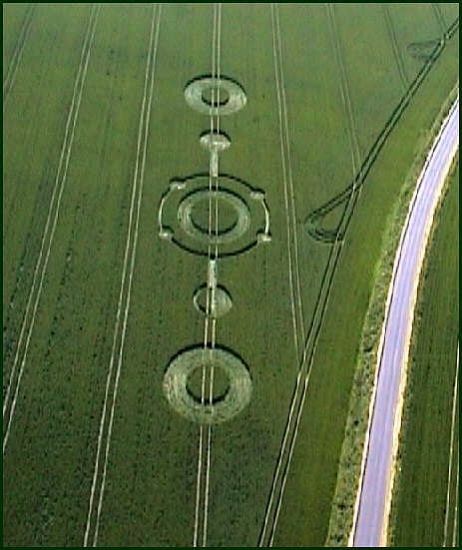 East Field near Alton Barnes, Wiltshire, first reported on July 7, 2007. Aerial image © 2007 by John Dove and featured in Cropcircleconnector.com. Mike Murray: "Went to this marvelous formation today, the sheer size is overwhelming. I couldn't even guess the area covered. It seems to ray out from a very large central circle then all the lines of circles decrease in size to nothing. There are lots of grape shot circles, some with tufts. "The formation dowsed positive. I borrowed a pendulum from a young lady, when I used it my arm tingled. This happened at New Barn last year. As you can see from my pictures, the lay of the crop is good although after only a day it is jumping up again. I couldn't visualize the formation from above and wait eagerly for an aerial photograph. Ahh just seen it, wow." of Alton Barnes, Wiltshire, England. Image © 2007 by Mike Murray. There is another post on this, but the location was different. It almost looks like two big sets of horns, with a mirrored smaller set of horns below the one on the right. 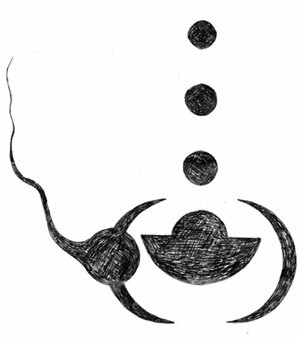 Parts of it seem similar to other images that are chakra related in my theory. I am not sure this fits with that picture. The ball in the cup appeared in Germany in 1991 at Grasdorf. In fact, there were three of those types in the group of formations that appeared. This formation became quite fameous, and the story became known as "The Grasdorf Plates." 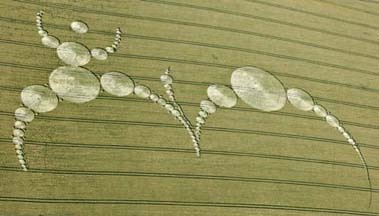 Note near the end, that the specific three crop formations where the three plates were found, were the ball in the cup types. The large formation looks like two big bull's horns made of circles of various sizes. Next to one of the "horns" is a smallar and mirror-like reflection of the one above it. The largest circles of the two touch one another. The smaller one is tilted on an angle toward the center in relation to the two big ones. The smaller one also has a central circle, which makes it like the ball in the cup type. The junction of the two big "horns" reminds me of the Mandelbrot Set, somewhat like a human posterior. From that point, a worm like line of circles seems to be coming out, like a birth. This part reminded me of the 2006 formation in Scottland where there was a sperm entering the area with the two opposing thin crescents with the ball in the cup in between. I also thought of the worm-like formation this year, that was like an "S" and could be suggesting a figure 8. The catipillar to butterfly metaphore comes to mind. There were 19 circles making up the S worm. They seemed to also be like steps up to the central circle, and then back down, like 9 then 1 then 9. Norma pointed out that 19 x 9 = 171. The number 171 is also the 18th triangular number, the one after the 17th which is 153. The ball in the cup seems to be related to Peter in the Boat, via the 153 Fish in the Net story. The idea I have about the "horns" formation is that the worm is being born, and will form another smaller mirror horn connected to the other big horn, which has nothing below it. About half an hour ago, in the back yard, I remembered that in my Christamas Dream story, There is the part about the two horns, and how we humans have only been using one of them. And, a time will come when the two trees (being like antler horns) will stand up, and we will use both trees. Something like that. T.J. Germinario's interpretations about YHVH and the feminine aspects fits this concept well. I made some black and white images of the formation, and reversed one of them. I am going to make an image of the "completed" form in my idea, with all four horns. Just as I wrote that, I remembered the four horns in Zechariah. As I started to make the images by doing cut outs, I realized that the two big horns look like a W. One big one attached to one of the little ones look slightly like an H.
1:29 PM I made the image and then filled in all the circles with black. I zoomed out to take a look and was amazed by how it looks like two spiders or beatles rolling two balls around. 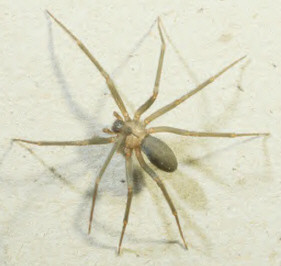 The two "insects" only have four legs each. Also, the offset angles make it look like the insects are rolling the two balls toward each other. 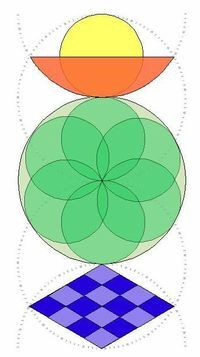 This would bring the two central circles into an eclipse condition, the merging of the duality attributes, which are also symbolized by sun and moon. The little circle at the bottom corresponds to the Earth (Malkuth). Between the pictorial representation of the Creation and the pictorial representation of the Creation of man, there is a pictorial representation of the ‘classical’ consciousness of the civilization on this planet: the dualistic consciousness, the consciousness originating in self-reflection which considers itself God, the consciousness of duality, the “dragon” and of the “generation of vipers” , and the dead branch and “temporary blip” on the tree of ‘evolution’ in the progression to the large-scale awareness and, then, manifestation of the “observing consciousness”. 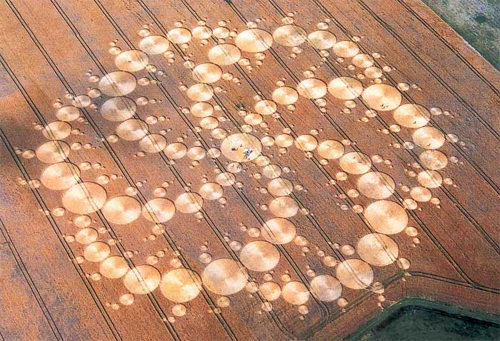 Recently, information regarding a 90 minute crop circle has surfaced on the web. Investigative journalist Linda Moulton Howe, has reported on this extensively via her site . She has interviewed at length, a few witnesses to the incident which has resulted in some great information for further research. The flurry of military activity present at the site has raised a few eyebrows from within the UFO and crop circle community. Could this be the latest in a recent series of widely publicized hoaxes or evidence of a government cover-up in progress? After arriving at the site, the witness was turned away by an official looking (not in military clothes, but rather formal attire) individual claiming to be acting on behalf of the farmer, who owns the land. He was warned to stay away as there would be increased military activity around the site. "wheel." The Alphanumerics of the word "green" adds to 49 and represents the heart chakra. 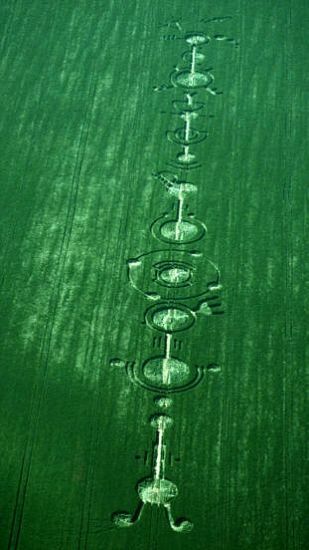 (see table of numbers for the Mega Glyph below) Joe Mason found interesting coincidences with these crop circles. See: Crop Circles, Their Meaning and Connections to Dreams The crop circle Windmill Hill on the left = 194 circles. The Julia set (above) appeared at Stonehenge in 1996. It has 149 circles. 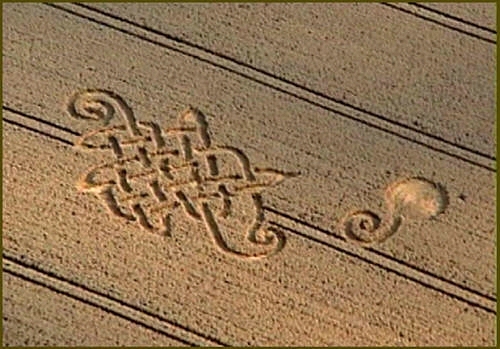 343 = 7 x 7 x 7 = the date of the crop circle pictured at the top of this page. Perhaps they created the crop circle themselves, and we stumbled upon a test site. The formation is purportedly very near the center of Salisbury Plain, which along with Stonehenge, is said to feature a plethora of military bases. What if one of these bases were experimenting with a secret weapon or trying to investigate this area for information regarding anomalous phenomena? Say..something like an ultrasound beam? It’s no secret that military powers have been experimenting with sound waves as weapons. Sonic bullets, grenades, cannons and focused beams of ultrasound are a few of the concepts we’ve investigated, though there are surely others under testing. We’ve already seen proof of New York’s finest delivering sonic blasts to rowdy protesters . 408 to arrive at the total of 409. Some of the "music" numbers are there. The "Large circles" column above fits with Mayan timekeeping and with Tarot cards, as multiples of 13. The number 39 is also twice 19.5, a key number in hyperdimensional tetrahedral mathematics. This concept has been presented by Richard Hoagland and his associates at the Enterprise Mission Site. The geometry involves two interlaced tetrahedrons inside a planetary sphere. 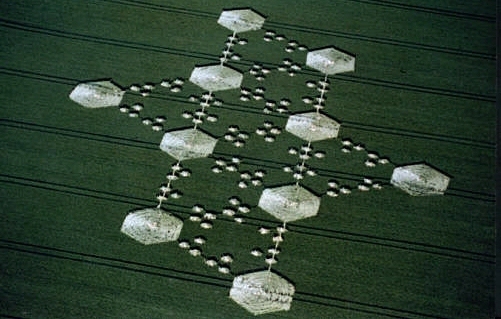 The geometry of the Mega Glyph crop circle formation fits quite well with the concept. The number 17 is related to 153, the number of fish in the net (John 21), as the numbers 1 through 17 add to 153. The formation appeared around August 17, perhaps suggesting 8 x 17 = 136. When the number 288 is subtracted from the number 409, the result is 121, which is 11 x 11. It was based on a review of an article by Jens Rowold, who used the chakra system developed by Barbara Ann Brennan. Barbara, like others, can see the energy in the aura. She wrote the book, Hands of Light. The 972 petals are said to be composed of 960 white petals or vortices, and 12 golden petals or vortices. Part 1: 1,033-Foot-Long East Field Wheat Formation Discovered After Bright Flash of Light. 4 AM digital images added to report. 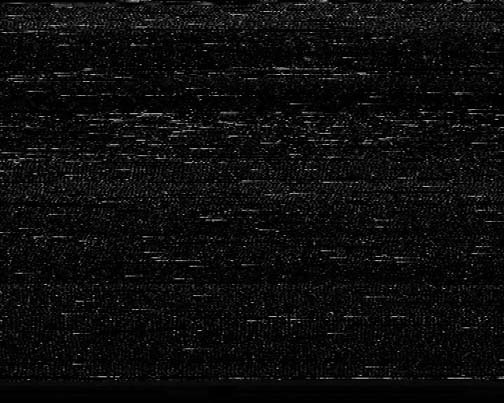 flash of light that produced an electromagnetic disturbance on videotape. while investigator Winston Keech videotaped them from Knap Hill. Aerial image © 2007by Lucy Pringle. Also see: Cropcircleconnector.com. Approximately 3:20 AM, Saturday, July 7, 2007, Alton Priors, Wiltshire, England. hour and 45 minutes. Image © 2007 by Winston Keech. 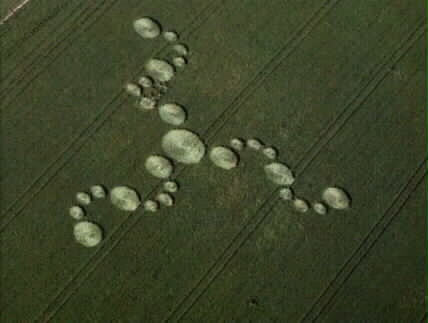 "On a couple of occasions, I’ve had intuitions about crop circles like you would have before a phone is going to ring. I’ve had intuitions where I’ve gotten up in the morning and driven down to Wiltshire from my home in Wales and been lucky enough to walk into a fresh formation." On Friday, July 6, 2007, he woke up in his Wales home around 3:30 AM and could not go back to sleep. So, he got up, had some coffee and toast, watched the sunrise and decided he had to go to Wiltshire to see if any new crop formations had emerged. Traveling with him was his girlfriend, Paula Presdee-Jones. Gary King, Former London Paralegal and Private Investigator; Currently Linguistics Major at Cardiff University, Cardiff, Wales, U. K.: "I’ve always looked at the East Field and went there first, but there was nothing. Then I went to the Silent Circle Café around mid-day and somebody mentioned there might be a formation in the East Field, which we went back to investigate. It was just wind damage at one end of the field because the night before it had been particularly windy. When I got there, I met up with some Dutch researchers from Holland that Janet Ossebaard had brought over and also some American people that Denni Clark had as a tour group. 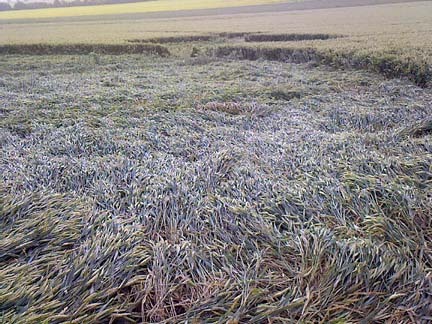 We were looking at the wheat and saying it was just wind damage. 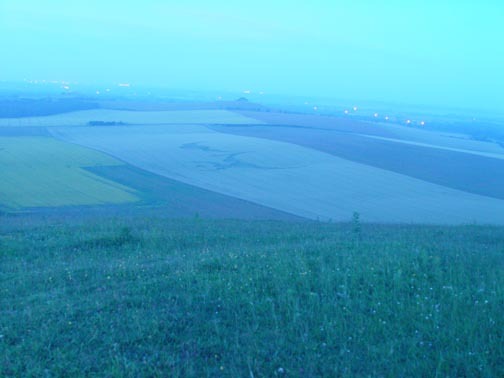 I decided to spend the night on top of Knap Hill, which is directly in front the East Field. So, that evening I borrowed a sleeping bag off Charles Mallett at the Silent Circle Café to go up and do my vigil with Paula. When we got up there, we met up with a man called Winston (‘Win’) Keech, who is a UFO investigator. He had three cameras set up on the hill and two cameras set up on his car (jeep), which was parked a little way down on the hill. So, he had five cameras in all. On top of the hill, he had three cameras set up on tripods. One was a Sony digital still camera. Another was a Sony VX2100, which he told me is much more sensitive to light than the human eye. He also had an image-enhancing camera, which was hooked up to a JVC D-700 recorder, so that every time he scanned the field with the image enhancer, it would record what was scanned. 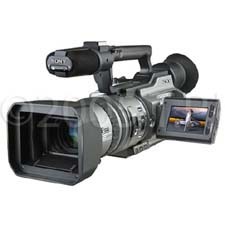 Sony DCR-VX2100 light sensitive professional digital camera. THE TWO CAMERAS IN WIN'S JEEP WERE MOUNTED HOW? They were mounted on the roof. They were infrared and visible light capacity. One was aimed at East Field and one was aimed at Milk Hill. And they were hooked up to VHS/VCR video recorders with 4-hour tapes in them. WHY WAS MR. KEECH ARMED WITH SO MANY CAMERAS ON THE NIGHT OF JULY 6 TO JULY 7, 2007? 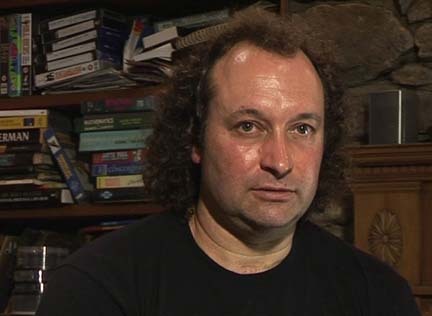 Winston Keech, UFO and Crop Circle Investigator, Yorkshire, England. Image © 2007 by Terje Toftenes. Win told me he was going back to Yorkshire on Monday (July 9) where he lived and he was going to do one more night watch on Friday to Saturday night (July 6 to 7, 2007). I don’t remember him telling me he was going to be Knap Hill – but he just said he was going to do another night. And off he went. So, on my own when I ended up going to the top of Knap Hill with Paula, I immediately recognized Win as he came over to us. We sat down where he had all his cameras set up. He picked up his image-enhancing camera and scanned around the East Field which we could see very clearly through his equipment. We could see the tramlines. He scanned across (the wheat) and we could see there was a field of rapeseed next to (the wheat) and we could see the road and everything very clearly. That was recorded and indexed at 1:35 AM, Saturday, July 7, 2007. THERE WAS NOTHING IN THE EAST FIELD AT THAT POINT? We all sat there and talked about the universe and all the possibilities of how wonderful this world could be. Then, just around 3 AM, (video analysis shows 3:08 AM - first report was 3:13 AM for flash and then refined in analysis to 3:08 AM), we saw a great big flash of light, which I can describe was almost like lightning, but covered the whole land and was like a big camera flash going off everywhere. YOU DID SEE THAT FLASH WITH YOUR HUMAN EYES? With our eyes, we registered a great big flash, all three of us. SUCH A BRIGHT FLASH SHOULD HAVE BLASTED OUT THE INFRARED CAMERA. WHAT DID THE INFRARED CAMERA SHOW? Terje Toftenes, Video Producer and Managing Director of Strat and Toftenes in Sandvika, Norway, got a call on Tuesday, July 10, from a colleague in Wiltshire telling Terje that not only had one of the biggest crop formations in Wiltshire history appeared early in the morning on Saturday, July 7, 2007, in the East Field, but there had been cameras running when a very bright flash of light was seen from Knap Hill by three eyewitnesses. Terje studied electronic engineering in a Norwegian university and later worked as a TV producer for the Norwegian Broadcasting Corp. until 1978, then managed an Audio-Visual Department for a Norwegian public relations company until 1986. That year, he founded his own video company to produce industrial films. Today, Strat and Toftenes produces for major clients in the offshore oil, gas and shipping industries. But like Gary King, after Terje stepped into his first English crop formation in 2003, he was haunted by their beauty and the mystery of what they could mean. He ended up producing a documentary for Norwegian television that was translated into an English version in 2006 as Crossovers From Another Dimension. (See More Information below.) He's now working on a follow up documentary. So when Terje received the phone call about a massive pattern of circles estimated to cover 96,600 square feet, or 2.25 acres, with more than 95 circles (final count was 150) in a very strange design spread across 1,033 feet and 490 feet wide - plus three eyewitnesses who saw a bright flash of light while light-sensitive and infrared cameras were set up - he got on the first plane out of Norway and headed for the East Field. Terje went over in detail with Winston Keech what the camera equipment had recorded. For everyone, it was a sad irony that the exciting human conversation distracted attention from periodically videotaping the East Field and changing tapes. Terje and Winston discovered only two frames in the infrared camera had recorded an electromagnetic pulse of some kind that left a 4 milliseconds trace of what Terje thinks are the trees atop Woodborough Hill in the distance, but nothing else from the East Field itself. - then look at the approximate 3:20 AM Sony still digital frame camera at the top of this report that clearly shows the astounding wheat formation. Terje Toftenes, Video Producer and Managing Director, Strat and Toftenes, Sandvika, Norway: "At 1:35 AM, (July 7, 2007) it was so dark, so totally black in the field. The only thing you can see from the video recording was the horizon and some lights from houses in the distance in the horizon. But in the field, it was totally black and I’ve tried to enhance, or amplify, the video frames. But all I get is recording noise from the recording device. YOUR IMPLICATION IS THAT IF THERE HAD BEEN ANYBODY HIDING IN THE FIELD OR TRYING TO WALK THE TRAMLINES OR EVEN HAD A HIDDEN FLASHLIGHT, THE INFRARED AND STARSCOPE CAMERAS WOULD HAVE SHOWED THAT VERY CLEARLY? Oh, yes. Any lights would be visible on those recordings and we have examined them back and forth during the 1:35 AM time period and there is absolutely no sign of any lights or people or activity in the black parts of the East Field where the formation appeared later. TERJE, WHAT IS YOUR UNDERSTANDING ABOUT WHY WINSTON KEECH HAD 5 CAMERAS ON KNAP HILL IN THE COLD AND RAIN FROM LATE FRIDAY, JULY 6, TO SATURDAY, JULY 7, 2007? Fifteen years ago in 1991, Win Keech had a close encounter with a ball of light that created a crop circle right in front of his eyes. And it happened in just 3 seconds. Win was standing in one of the corners of the East Field. A ball of light the size of a human fist appeared right in front of him and suddenly expanded to be like a big, floating pancake. Win Keech felt that this light ball, or whatever it was, was kind of teasing him and telling him, ‘I’ll show you what I can do. But you cannot catch me on film. But I’m here.’ That’s the feeling Win had. And every single summer since then, he has been down here in Wiltshire for a couple of weeks setting up his equipment focused on the fields at night, trying to catch this phenomenon on video. And every year, he has gotten better and better equipment, and finally after 16 years, he is able to have a new contact with it in the East Field. YET, FOR WHATEVER REASONS, HE WAS NOT OPERATING THE CAMERA EQUIPMENT WHEN THE FLASH OF LIGHT OCCURRED. Right. Well, he also explained he had a feeling that if he had been very actively filming the field all the time, it probably would not have occurred. Again, he felt that the phenomenon was kind of teasing with him because the minute that the big light flashed, the three people - including Win - were in the middle of a discussion and had their focus somewhere else other than on what was happening in the field. He said, ‘If I had been there totally alone focusing on the field the whole time as I have done for the last 16 summers since the incident in 1991, this time probably would not have happened. ‘I have a feeling,’ he says, ‘that this phenomenon is dancing with me. It invites me to dance. It’s invisible and it shows up when I least expect it. It will not show itself when I ask for it. It just shows when I’m not aware. So, again, he felt this was an answer to his questions and encouragement to continue on his path, developing himself as a human being. DO YOU HAVE AN EXACT TIME FOR THE FLASH OF LIGHT? Yes, the exact time for the flash seems to be 8 minutes past 3 AM (3:08 AM Wiltshire, England local time). TO SUMMARIZE, AT 1:35 AM WAS THE LAST TIME THAT THE SONY LIGHT-SENSITIVE AND INFRARED CAMERAS SHOWED DEFINITIVELY THAT THERE WAS NOTHING IN THE EAST FIELD? 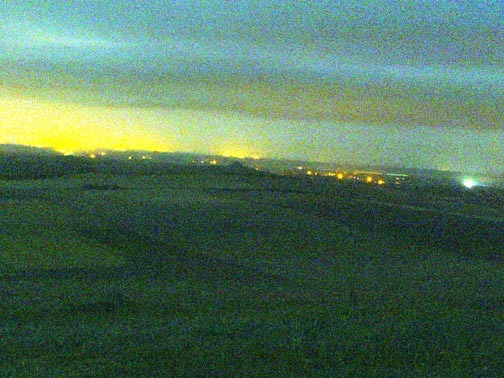 1:35 AM it is – that’s the last pan over the East Field where you see nothing in the field. THEN, AT 3:08 AM IS WHAT THE INFRARED CAMERA SHOWS WAS THE MOMENT OF THE LIGHT PULSE? WHAT HAPPENED TO THE CAMERAS IMMEDIATELY AFTER THAT LIGHT PULSE? At that particular moment, only two cameras were running. And in one of those cameras, the tape had run out. On the other camera, the tape ran out only two seconds after the light pulse. THAT WAS THE INFRARED CAMERA. Yes. The cameras ran out of tape because the three people were in the middle of such an interesting discussion about metaphysics that Win Keech forgot to change the tapes. So when the light struck, he said, ‘Oh, gosh, that reminds me. I have to change the tapes.’ So, he ran down to the jeep and changed the tapes and afterwards, we see that one of those removed was recording the light pulse two seconds before that tape ran out. So, that was really lucky! I have analyzed all this frame-by-frame. On the first frame where the flash happens, there is an electronic kind of shock. You have to remember that the camera was connected to a video recorder by a cord because this particular camera was on the rooftop of the jeep. The recorder was inside the jeep. So, the cord picked up the light pulse because the cord was like an antenna to electrical impulses. So, I think what I can see is that the first kind of shock on the first video frame is from the electromagnetic shock from the flash of light. Infrared camera Frame 1 after 3:08 AM light flash. Camera lost sync with recorder. All video frames ©2007 by Winston Keech. On the next second frame, you see the actual flash of light (4 milliseconds) on the tiny part of the frame. Then, for the next 6 or 7 frames, the camera obviously had sync trouble because it’s trying to regain its synchronization. The EMP pulse from the light flash was so hard that it shocked the electronics. Upper 4 Milliseconds of Frame Show Trees Atop Woodborough Hill. Infrared camera Frame 2 at 3:08 AM after light flash. shows trees atop Woodborough Hill in upper center. 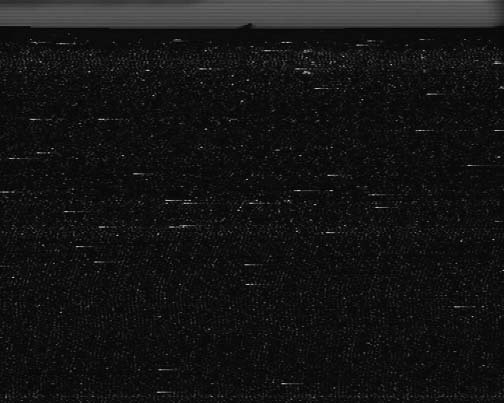 SO, WE HAVE FOR SURE AT 3:08 AM THE BIG FLASH OF LIGHT THAT EFFECTS THE CAMERAS AND THEIR SYNC AND YOU HAVE 4 MILLISECONDS ON ONE FRAME OF WHAT YOU THINK ARE THE TREES ATOP WOODBOROUGH HILL? NOW, WE HAVE 1:35 AM AND NOTHING IN THE EAST FIELD. AT 3:08 AM THERE IS THE BIG FLASH OF LIGHT AND THE ELECTROMAGNETIC DISRUPTION. WHAT IS THE NEXT TIME YOU HAVE ON VIDEO THAT SHOWS SHADOWS THAT MIGHT RELATE TO THE FORMATION BEING IN THE EAST FIELD, EVEN IN THE DARK? OK, what happens after the flash is that Win runs down to the car and changes the tapes. That takes approximately five minutes. He gets back to the top of Knap Hill and Gary King suggests that flash of light could have meant something. ‘Maybe that’s it!’ they kind of joked. So, why not try to pan the field again even though it was totally black? Win took the most light-sensitive camera he had (Sony VX2100) which was on a tripod at the top of Knap Hill and this again was connected to a camcorder, so it was recorded on mini-DVD tape. He pans over the field and then they saw in the viewfinder a shadow in the field which was in the place where the crop formation was later seen as a full formation. But in that pan after the flash of light, there was only a shadow. after the big flash of light. Shadow is near center of image. Image © 2007 by Winston Keech. "And this was approximately 12 to 13 minutes after the light pulse. We are now talking about 3:20 AM. That’s when they saw the first shadow and then some light came as clouds began to drift away from the moon. After that, they could also see with their naked eyes that there was a shadow there and took a picture with the digital still camera. Then they could see that the formation was there. From that point, the (light-sensitive) Sony video camera was also able to pick it out as well. So, from 3:20 AM (July 7, 2007), you’ve got the crop formation there. And about a half hour later (about 3:45 AM), they could see with their eyes. of trees atop Woodborough Hill near center of horizon. Image © 2007 by Winston Keech. DID THEY VIDEOTAPE AT THAT MOMENT IN INFRARED OR STARSCOPE? They videotaped with the normal, light-sensitive Sony camera and also the infrared camera was running. So, we have that on three different sources. Also from the Sony digital still camera. So, actually four of the cameras were working at that time. THE EYEWITNESSES ARE STILL ON TOP OF KNAP HILL. NOW THEY ARE SEEING AND VIDEOTAPING AND RECORDING WITH VIDEO AND CAMERA EQUIPMENT IN INFRARED, STARSCOPE AND ON A STILL FRAME THAT THERE IS SOMETHING IN THE FIELD. WHAT DO THEY DO NEXT? First of all, if you listen to the audio from the recordings, you can hear they are cheering and yelling because of their excitement, of course. They told me they thought it was sort of an answer to the discussion they had been having about the existence of other realities and the nature of consciousness. This intelligence, or whatever is making the crop formations, just wanted to show them, ‘Aha! You might be on the right track.’ That was their feeling. After they had done more recordings, then they were also able to see it with their own eyes. At that time – and now we have come to about 4 AM – then Gary and his girlfriend decide to go down and have a look at the crop formation. So, they get in their car and drive around the East Field to the small parking place (silage pit) and they walk into the formation as Win is still videotaping them from the top of Knap Hill. We have the video of them coming into the formation and dancing! 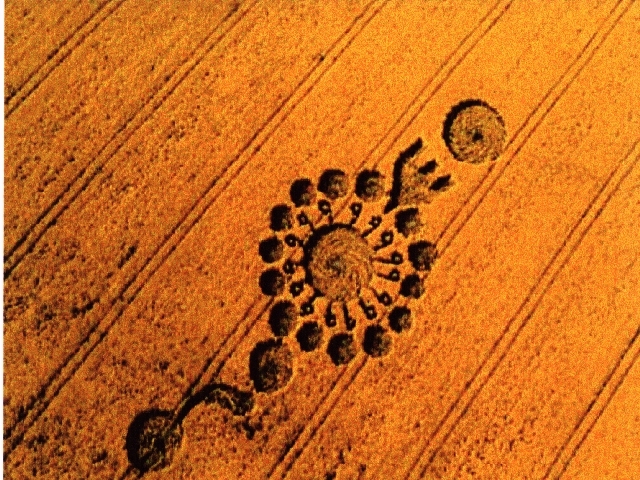 They were extremely excited to get into the crop formation when they knew they were the first people on this planet entering that particular formation. ranging from 160 feet to 2 feet in diameter. Images © 2007 by Gary King. Gary King: “Yeah, I was fortunate to be the first one who walked into it with my girlfriend from Cardiff, Paula, while Win Keech continued to videotape us. We drove down the road just after 4 AM and walked into it just as the light was coming up. Walking through the formation, we could see some of the circles were very low to the ground. Then the next circle you would walk into, the lay would be like 6 inches above the ground and as you would try to walk on it, it would crunch, like breaking glass. Some of the centers were beautifully laid out in nests. Other centers were actually broken, so there were indications that some of them had very strong energy on them and others were put down with very great care and beautifully laid. It was a very contrasting formation in terms of differences in each individual circle. You are describing exactly what was happening to us. It felt like a sacrilege to tread on them. It felt like we were breaking something so beautiful as the plants crunched underneath our feet. design spread across 1,033 feet and 490 feet wide. Aerial images © 2007 by Lucy Pringle. COULD YOU DESCRIBE FROM YOUR PHYSICAL EXPERIENCE OF BEING THE FIRST PEOPLE IN THE EAST FIELD CIRCLES, WHAT WERE THE SMALLEST SIZES OF THE CIRCLES UP TO THE LARGEST? I’d say the smallest circles were maybe 2 to 2.5 feet wide. Then as you would walk a line of them, they would get progressively bigger and bigger. And then the big one as you got closer to the center, I would say was about 150 feet across at least, I’m guessing. (Largest was 160-foot-diameter). The formation was just massive and vast. DID YOU HEAR ANY SOUND IN AND AROUND THE FLASH OF LIGHT? No, no sound. It was very windy. We had our hoods up. It was a very windy evening. SO THIS FORMATION AND THAT FLASH OF LIGHT OCCURRED WHEN THERE WAS A STRONG WIND? Oh, yeah. It was a strong windy night. WHICH ALMOST MAKES IT THAT MUCH MORE REMARKABLE THAT IT WOULD BE THAT PRECISE ON THE GROUND. THE CRYSTALLIZATION MIGHT HAVE BEEN ON PURPOSE TO PRESERVE IT IN THE WIND? That’s a good observation. It sounds reasonable to me. From our own experience being there, witnessing it, and feeling the energy that we felt, it was very electric! We were dancing on the top of Knap Hill when we saw it, too. Since then, a number of people who have gone in the formation, including myself, we have had dry throats and headaches. And we’ve had kind of tired feelings and some of the symptoms you can get from going in formations that I’ve experienced over the years. WHICH W. C. LEVENGOOD, THE BIOPHYSICIST, ASSOCIATES WITH THE PRESENCE OF MICROWAVE ENERGIES, OTHER COMPLEX ENERGIES AND AN ANOMALY IN THE MAGNETIC FIELD. THERE IS DEFINITELY MEDICAL EVIDENCE THAT NEGATIVELY CHARGED IONS VERSUS POSITIVELY CHARGED IONS – ASSUMING IT WAS SOME KIND OF SPINNING PLASMA THAT CREATED THE ENORMOUS AND AMAZING FORMATION – THOSE DIFFERENCES IN THE CHARGE OF THE PLASMAS CAN AFFECT HUMANS IN A VARIETY OF WAYS. Terje Toftenes: "I also had that experience when I stepped on the outskirts of the formation that if you are used to stepping on very cold snow, it kind of cracks under your feet. It was the same sound. These stems were not broken. 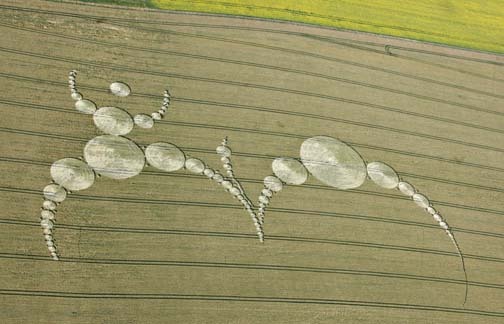 They were just gently bent and people who have been doing crop circle research over the years, they have found this is how it usually is in genuine formations – that the stems are not broken. 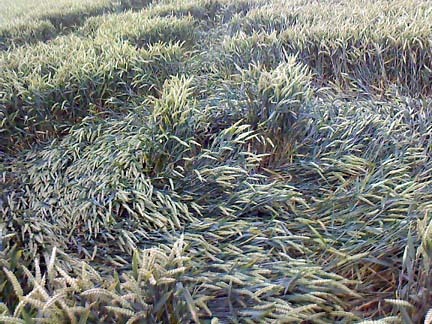 They are gently bent so the crop is not dying. It’s growing and if the crop is young, it will kind of straighten up again. I also felt there was a strong radiation from the formation. Gary told me the first morning that he was in there that pretty soon he had a bad headache. I experienced the same myself when I was in there four days later. Inside this crop formation, I had been there for half an hour when I had a terrible headache. It lasted until I left the formation. When I got into the car and drove away, the headache was gone. The East Field is not a totally flat pancake field. It actually curves up and down. When you look at the formation from up above from an aerial photo, you see that the circles are absolutely 100% correct circles. To make circles look 100% from the air in a field that has up and down hills, you cannot create 100% perfect circles on the ground. You have to create ovals. And that’s the case here. 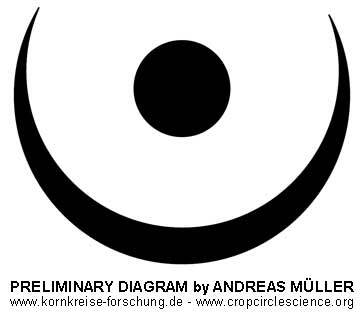 All the circles that are lying on a hilly surface more than a flat surface, they are ovals. We are thrilled about what has happened and feel the public should know, the world should know, that something is going on in these fields that – well, I just can’t describe it. I get goose bumps all over my body when I’m talking about it, you know? 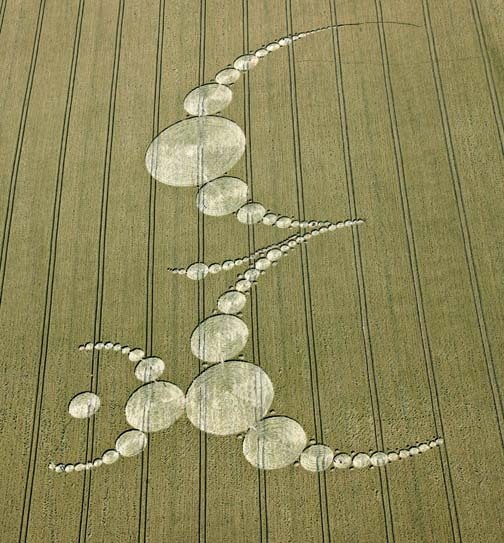 IN YOUR GUT INTUITION, WHAT DO YOU SENSE IS BEHIND THE CROP FORMATIONS? I’m absolutely convinced it is a very intelligent entity, or whatever it is. To me, I have a feeling that what we perceive with our five senses is just a part of the real reality. Our 5 senses are constructed to perceive reality in the 3-dimensional reality. I have a strong feeling that there is life going on within us and around us that we do not perceive. I think there are other intelligences in this universe visiting and monitoring us. And I have a very strong feeling that our governments know a lot more about this than they will tell us. So, I think it is either something projected on the ground from an alien source. Or it is projected on the ground from an inter-dimensional source that we are not able to perceive with our senses. But definitely, this source has decided to present itself in a way that is so beautiful and that is not hostile that creates the most thrilling feelings within us and invite us to explore the unknown and invite us to start discussions about realities, consciousness … and it is an invitation to start growing as people again because we have for so long been stuck in our materialistic world view and it’s probably time to take the next step in the evolution of humankind. That’s my opinion. TERJE, WHAT DO YOU THINK ABOUT THE IDEA THAT CROP FORMATIONS OVER THE PAST QUARTER CENTURY ARE A KIND OF 3-DIMENSIONAL SYMBOL LANGUAGE BASED ON MATH THAT HAVE SOME KIND OF FUNCTION IN RELATIONSHIP TO THE SURFACE OF THIS EARTH THAT WE DON’T UNDERSTAND? If the circle makers are trying to pass through messages to humankind, why do it in such a difficult way? Why not spell it out in letters in the fields? I think it’s like when you educate children. If you tell children to do this, not do that, that’s not real education. Real education is when you lead your children to explore things on their own. Then they really learn. That’s what I think these formations do. They invite us to start a learning process where we have to be the active one. They are helping us on the way, they are giving us signs, they are giving us wonders to explore – but we have to do the work ourselves. That’s how we are going to evolve and grow and learn. 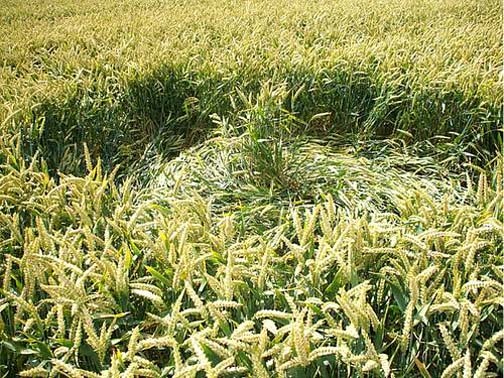 Why Are Governments Threatened by Crop Formations? 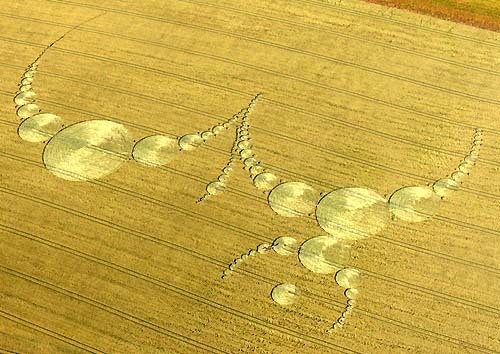 SO, WHY WOULD CROP FORMATIONS AROUND THE WORLD THREATEN GOVERNMENTS AND MILITARY? What kind of situation would that create? What would our churches say? How would they define God? It’s like opening an enormous box of possibilities that you can’t control and that’s why the government does not want the people to be aware of this. WHAT IS IT GOING TO TAKE TO MAKE GOVERNMENTS AND LEADERS ON THIS PLANET FINALLY TALK IN TRUE LANGUAGE AND FACTS WITH THE REST OF THE CITIZENRY ABOUT THE FACT THAT WE’RE NOT ALONE AND THERE ARE PHENOMENA RELATED TO ADVANCED INTELLIGENCES? That’s the major question, Linda. I don’t have a proper answer to that. I’m afraid what it’s going to take is a crisis, just like the environmental situation. We have to have a crisis before we start reacting. We are very conservative in the way we conduct our lives. We don’t want change, even though we say we are open to change, deep down we don’t want it. We want to live our safe, predictable lives as we always have done. And these phenomena are kind of opening a door to Something we cannot control. We do not know what it is. It’s risky. It might be dangerous. I don’t know what it takes, but I would say it takes some kind of crisis before we really open our eyes and before the government is willing to establish some type of organized investigation. But I think the destruction of Earth will also affect not only this planet, but will have an effect outside our planet. That’s why I think the concern is rising and Some Other force, or Intelligence, is trying to give us some hints that we should start opening our eyes now and see that we are not alone. 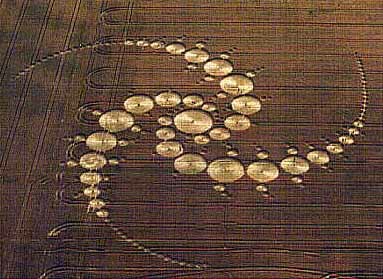 DO YOU THINK THE CROP CIRCLE MYSTERY IS HEADED TOWARD SOME KIND OF RESOLUTION IN WHICH THE INTELLIGENCE BEHIND THE CROP FORMATIONS OVER ALL THESE YEARS WILL MAKE ITSELF PUBLIC TO HUMANS ON THIS PLANET? I have a feeling it is. I have a feeling you can see that very clearly from the way it is accelerating. The phenomenon is growing. It’s definitely taking us somewhere. We are headed toward crisis in the energy systems on this Earth. We are headed toward environmental crisis. I mean, for just talking about energy – in like 40 years, we will run out of gas. And we will run out of the energy that drives 80% of all our systems on the Earth. So, in 50 Earth years, we will have some pretty big troubles on our hands. If we don’t wake up and do something about that pretty soon, then this planet is going down, this civilization is on its way down. Over East Field Wheat Formation. "There was a terrible smell from the helicopter. I can describe it as being a sulfurous smell – very powerful! which means get out of the place. It’s dangerous!" Winston Keech in the 150-circle East Field formation on July 10, 2007. 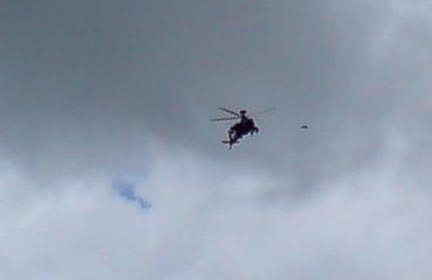 Dark object to right of helicopter is unidentified. Video image © 2007 by Winston Keech. As Charles Mallett was gathering some wheat and soil samples for study, a large, black, unmarked helicopter came over the field and within 50 feet of Charles. He said to me in a phone interview, "It was very intimidating, but I knew whoever was flying was not going to crash that expensive machine into the East Field and was not going to start strafing with bullets along that peaceful English farm land of Wiltshire." But who exactly was in that large, unmarked helicopter and all the other military helicopters that have swooped low over the East Field formation since July 7th. Not only has the military helicopter activity over the East Field been the most intense anyone has seen there, the unidentified choppers have brought with them something that smells bad, burns peoples' eyes, makes them nauseous - even to vomiting - and has caused a dosimeter to climb above safe radiation monitoring levels at least twice. This week I talked with long-time crop formation investigator, Andrew J. Buckley, a professional graphic artist from Winsford, Cheshire, England. He has been concentrating on the East Field since the big July 7th event, keeping his videotape running as the helicopters have appeared. Andy begins with what happened to him on Monday, July 16th. Andrew J. Buckley, Graphic Designer, Winsford, Cheshire, England: “I had arrived at the East Field, having walked from Woodborough Hill. When I arrived at what is known as the silage pit, which is just off the East Field, I was on foot walking down the road, I noticed there were some vehicles parked on the side. They were what I would describe as vans, white vans. They were unmarked. There were three of them and there was a person standing by one of the vans. He said, ‘You do realize this is private property?’ And something else to the effect that, ‘I’m acting on behalf of the farmer.’ There was some kind of project going on at the moment and would I stay out of the field. ANDY, DID YOU ASK HIM WHO HE REPRESENTED? I had the dosimeter on and noticed the read out had gone up significantly from zero to between 60 and 80. It was fluctuating. WHAT DO YOU HYPOTHESIZE THE HELICOPTER WAS EMITTING? The only thing I can think of is to go back to Freddy Silva (investigator and author). In his book, Secrets of the Fields © 2002, he noticed similar phenomenon when he was in another East Field formation – might have been 2000 – and a black helicopter came over and he had again the same symptoms: headache, nausea. Freddy Silva put it down as infrasound. [ Editor’s Note: Wikipedia - Infrasound is sound with a frequency too low to be detected by the human ear. The study of such sound waves is sometimes referred to as infrasonics, covering sounds from the lower limit of human hearing (about 16 or 17 hertz) down to 0.001 hertz. This frequency range is the same one that seismographs use for monitoring earthquakes. Infrasound is characterized by an ability to cover long distances and get around obstacles with little dissipation. Possibly the first observation of naturally-occurring infrasound was in the aftermath of the Krakatoa eruption in 1883, when concussive acoustic waves circled the globe seven times or more and were recorded on barometers worldwide. Infrasound was also used by Allied forces in World War I to locate artillery; the frequency of the muzzle blast from firing was noticeably different than that produced by the explosion, allowing the two sources to be discriminated. I’ve been going in the East Field formation every morning (since July 7, 2007) with my video camera, really just to monitor it. And at precisely 12:47 PM (time code on videotape), I looked down the valley towards Martinsell Hill, which is not that far away, and I saw three bright lights in the sky, sort of in alignment. They appeared to be hovering fairly low down, just below the height of Martinsell Hill. Then I suddenly became aware that they were coming towards me and they were coming down the valley very low heading straight for the East Field formation. There were three helicopters and I’ve never seen these before. I’m used to most of the helicopters here, but these were very, very large and all black, unmarked helicopters. They were flying side-by-side. As they got half way down the valley, they broke formation and the helicopter on the left moved toward the side of the hills (Knap Hill et al). They were very low down. The helicopter on the right moved to the right. And the helicopter in the center carried on until they arrived at the East Field formation. I got a very good view of the central helicopter over the East Field in my video and I cannot see any markings on it whatsoever. It seems to be completely unmarked, black and big. What was significant, though – I think they made a series of three passes – there were quite a few people in the formation and they were very, very scared by this. I mean, some people ran out of the formation as these helicopters were obviously very intimidating. But on the final approach, the center helicopter came back down again and on that third pass, we got the same effect we had on Monday, except it was far more pronounced. It was very, very powerful what appeared to be coming from this helicopter. And this time, it was a lot worse. This time, there was quite severe vomiting. (laughs) And I was throwing up quite badly, actually. There was a terrible smell from the helicopter. I can describe it as being a sulfurous smell – very powerful! It made my eyes burn. I noticed half a dozen other people as well – they were quite severely affected. I saw one man throwing up into the crop. I was actually shouting to these people to get out of the formation, which we did. The other thing was that I got my dosimeter and it had shot up very, very high, between 300 and 500. It says on the alarm threshold that if it goes higher than 275, that signifies a radiation risk. This dosimeter I have is used in nuclear power stations to measure radiation levels. If it goes above 275, it gives off a signal, which it was giving off on Wednesday in the East Field, which means get out of the place. It’s dangerous! THAT MEANS , ANDY, THAT THE THREE, LARGE UNMARKED, UNIDENTIFIED CHOPPERS WERE EMITTING SOMETHING THAT MADE YOU VOMIT, BUT ALSO RADIATION WOULD HAVE BEEN INVOLVED? It seems like it. This meter was picking up very high levels of radiation, which dropped off quite suddenly when the helicopters disappeared. So, that gave me an indication that the radiation was tied in with the three helicopters. DID ANY OF YOU SEE ACTUAL PHYSICAL SPRAY COMING FROM THE HELICOPTERS? I could smell this and I got the impression that something was being emitted from the helicopter, but it was very difficult to determine. It seemed to be colorless. But what happened later, the same afternoon, Foeke Kootje was videotaping near Woodborough Hill and an Apache helicopter started circling quite low. I and others were in the silage pit at the East Field nearby. That helicopter moved between us and Woodborough Hill and something was dropped out of the helicopter and it left what looked like a pink trail in the sky that came right down to the ground. That stayed in the air for awhile and there was a funny smell – it was an unusual smell, not like normal smoke or anything like that." I have talked with other eyewitnesses of the July 18th events. 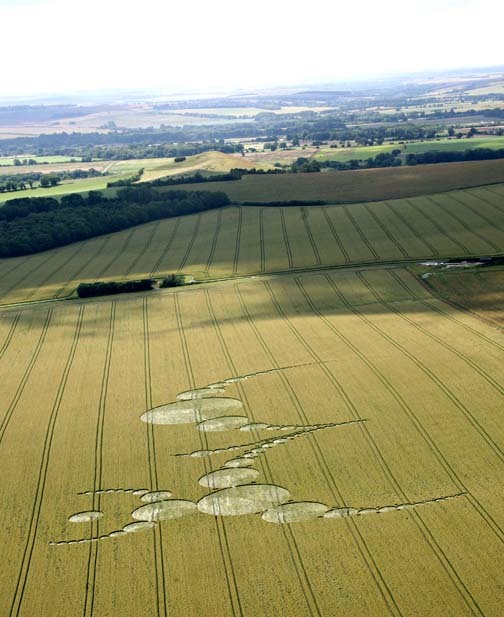 Gill Nicholas has been visiting crop formations in Wiltshire since they began nearly 20 years ago. She has seen helicopters circle over crop formations before. But told me by phone that she has never seen any helicopters as big and solid black as what she saw on July 18th. Gill was at the East Field silage pit with her Australian friend, Megan, when both women watched a very large, all-black, unmarked helicopter come down within 10 to 15 feet over the heads of a young couple standing in one of the circles. The couple hurried out of the field, clearly upset by the low-hovering chopper. Then across the road from the East Field, the two women watched another helicopter hovering between Tawsmead Copse and Woodborough Hill. Gill said that helicopter was “discharging a gas that was spiraling from the helicopter over the crop.” Gill said the gas spray was a grey color. Further down the field toward Woodborough Hill, two other friends were videotaping the East Field. Foeke and Connie Kootje from Holland both saw – what they called – “two projectiles” come out of a helicopter right before a pink cloud of smoke could be seen in the air. 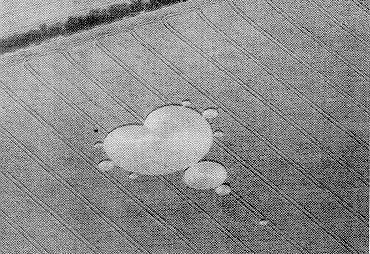 The Kootjes, Andy Buckley and others looked in the fields between Woodborough Hill and the East Field for any objects that might have been dropped. But to date, nothing unusual has been found. Andy Buckley also went to the owners of the East Field and asked Tim Carson if he knew about what the helicopters were doing. Andy also asked about a South African man driving a large silver Hummer vehicle. Andy and others have encountered the Hummer driver who seems very hostile, but will not talk to anyone. Even though Andy has known Tim Carson for several years and discussed crop formations with him, Tim Carson did not want to talk to Andy in the week of July 16th to 20th, while white, unmarked vans collected plant samples from the East Field and all the unidentified military helicopters kept flying low over the field scaring and making visitors sick. And they actually returned while I was standing there. These guys came out of the formation and I saw them walking down the tramlines. It was rather strange. There were about four or five of them and they seemed to be wearing the same gear, which looked rather odd. They were wearing what I'd describe as white coveralls and when they got out of the field, they were carrying samples. They had obviously taken plant samples of wheat and stuff, had put into bags and were carrying these things. They went to one of the vans, opened up the back and put the samples in the back. One of the guys was carrying a lot of equipment that looked to me like bags containing either photographic equipment or possibly some other equipment. They didn’t speak to me. The chap I spoke to earlier seemed to be the commander-in-chief. He was telling them what to do and they quickly got into the vans. I asked, ‘What kind of military activity?’ He just ignored me and got in the van and all drove off. They went in the direction of Pewsey and on down the road. At that point, I went back into the formation. I have a device with me that measures radiation levels. It’s a dosimeter, which I always use to test for residual radiation. So when I got in the East Field formation, I was sweeping it around and didn’t really notice anything significant. I hung around for while and I’d say around 9:30 AM, is when the military activity began, which he predicted. There were a lot of helicopters. There were Apache helicopters, Lynx, Gazelle, and they were all circling continually the East Field and this area more than normal activity. That went on for about an hour. By this time (10:30 AM), there were quite a few people in the formation who had come to look at it. By the way, I recorded all this on video, and about 11:30 AM, one helicopter appeared. It was a Gazelle and came down the valley very low. It took up a hovering position above the formation. It stayed there for awhile. Then it dropped down and started making very, very low level passes over the East Field formation and over the people who were in the formation, including me. And it was very intimidating. And at one point, it almost landed in the formation. It was extremely low. Now, this went on from – I’ve got it on the clock – from 11:30 AM to 12:30 PM (hour). Going towards 12:30 PM, it was still there and moved over towards Knap Hill and dropped down and came very, very slowly across the field at ground level. As it got to the crop formation, it rose slightly in the air and hovered. It hovered for about a couple of minutes, and then almost immediately, I and a few other people began to feel very unwell. It came on very suddenly and coincidentally with when that helicopter appeared. I started to get a very strong headache, felt quite nauseated. My mouth was very dry and my ears were popping. 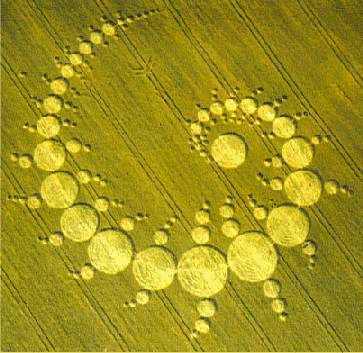 I immediately noticed there were two other people – we were standing in the same circle (one of about 100 circles in the extraordinary East Field July 7, 2007, wheat formation) – and I noticed they were behaving rather strangely. So, I went to them and asked, ‘Do you feel very unwell?’ And they said, ‘Yeah, that’s strange, isn’t it?’ The helicopter by that point had gone. It flew off and I never saw it again. But we felt noticeably unwell. ANDY, DID YOU SEE ANYTHING SPRAYED IN THE AIR FROM THAT HELICOPTER?